People use their smartphones for many things these days, one of their favorite hobbies is to take photos with these devices. Today, we’re going to tell you about a few Camera applications that you can install on your Android phone. A Better Camera application is not limited when it comes to the HDR function. This application comes with immediate post-processing, something which is not found on the camera applications from the mobile devices released by Samsung, Sony and other companies. In addition, you will be able to take several pictures in a rapid succession and then pick the best result. 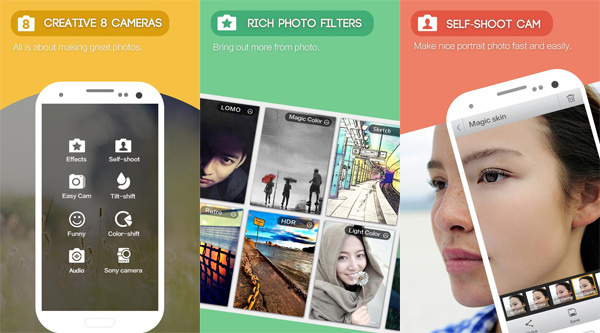 Camera 360 is another camera application that is quite popular on the Google Play Store. The application is using the lens-filter system which you can apply before a picture is taken. With other words, you will not have to wait until later to see if the picture can be fixed by adding a filter. The application comes with a lot of effects and options which you will be able to use to make some great photos. Most camera applications are made so you can take photos with ease, without having to setup too many things on it. However, these kinds of applications will not allow you to take some professional photos. With the Manual Camera application, you will be able to control the shutter speed, white balance, focus, exposure compensations and more. This application also allows you to save images in RAW format, which is great if you want to further processing it on a computer. The Pixlr Express application comes with an automatic image correction and adjustments which will make your photos look way better. It comes with a lot of effects and features that are found on the Photoshop application. You can even add a text and stickers to your photos, which is great. However, we don’t recommend this application to people who want to keep things simple. Google Camera is an application that allows you to take 360 degree panoramic photos, which is quite impressive. After taking the initial shot, you will need to rotate your camera from left to the right (or vice-versa) and trace the white balls across the screen in order to maintain the proper orientation. It will take a bit of practice until you will understand how this feature works, but once you get the hang of it, we’re pretty sure that you will love using it. 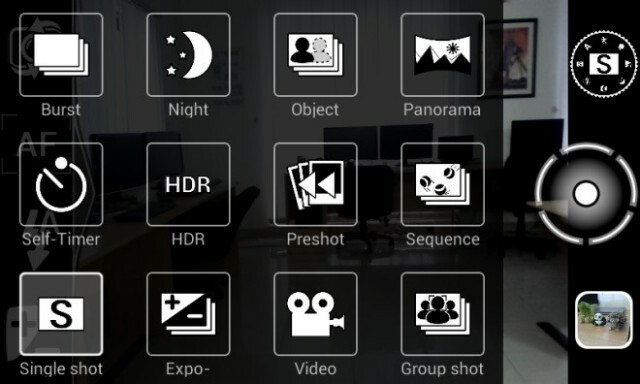 Which camera application do you use on your Android device?